On Thursday 14th March (2019), members of Drama and Theatre Club visited the Epstein Theatre in Liverpool (for the first time) to see William Shakespeare’s ‘Macbeth’. The play was staged by Daniel Taylor Productions. 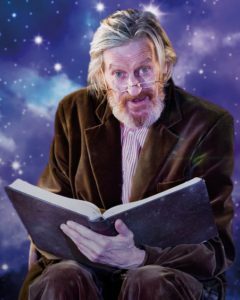 Children really enjoyed the play – particularly the eerie spectacle of Shakespeare’s famous witches, the drunken porter and the sword fighting. As usual, the behaviour of Drama and Theatre Club children was exemplary. On Thursday 27th September (2018), members of Drama and Theatre Club visited the Palace Theatre in Manchester to see the Royal Shakespeare Company’s amazing production of ‘Matilda the Musical’. The children had a fantastic time and thoroughly enjoyed the show. As usual, the behaviour of Drama and Theatre Club children was exemplary. Drama and Theatre Club children at The Palace Theatre during the interval of ‘Matilda the Musical’. 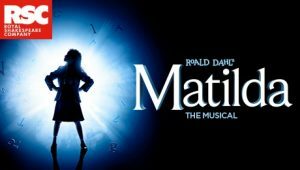 With scrip by Dennis Kelly and original songs by Tim Minchin, Matilda The Musical is the story of an extraordinary little girl who, armed with a vivid imagination and a sharp mind, dares to take a stand and change her own destiny. On the morning of Friday 2nd November (2018), members of Drama and Theatre Club went to the Liverpool Everyman Theatre to see ‘The Missing Light’. You’re never too old for hopes and dreams – there’s always time for plans and schemes. The children saw an enchanting show about hopes, dreams, togetherness and true friendship created by the same team who brought At The End of Everything Else to the Everyman in 2016. 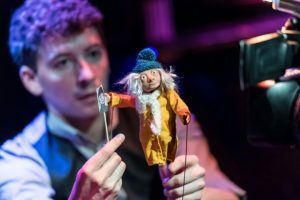 Drama and Theatre Club children saw how the company used puppetry, film, music and live animation to create a story that was both moving and technically stunning in equal measures. Drama and Theatre Club children at The Liverpool Everyman Theatre before seeing ‘The Missing Light’. On Thursday 8th November (2018), Drama and Theatre Club children went to the Liverpool Everyman Theatre to see ‘The Paper Cinema’s Macbeth’ – a captivating silent film created before their eyes. Children immersed themselves in a journey through rugged Scottish landscapes and encountered storms, betrayal and murderous plot. Shakespeare’s tragedy was vividly told with illustration, masterful puppetry and a live musical score. 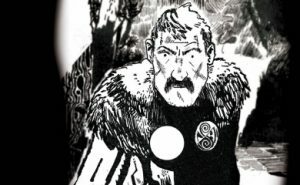 Hand-drawn puppets collided with music, Foley and cinematic projection to create epic battle scenes and intricate characters. Drama and Theatre Club children at the Everyman Theatre – before and after ‘The Paper Cinema’s Macbeth’. 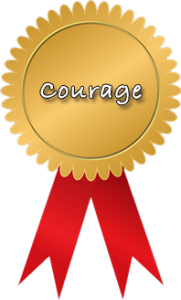 A member of staff from the theatre commented on the children’s excellent behaviour. On Thursday 10th January (2019), members of our Drama and Theatre Club had ‘a freezin’ to be cheerful !’…..because they were at the Everyman’s annual rock ‘n’ roll panto. 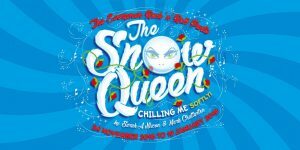 Regular writers Sarah A Nixon and Mark Chatterton unite with musical director Greg Last to bring the usual music and mayhem to this chilly tale. The Everyman’s notorious dame Francis Tucker and master of mischief Adam Keast will bring audiences to their feet to dance, cheer and avoid a soaking. Unlike any other panto in Liverpool, our multi-talented cast sing, dance, entertain and play music live on stage, making sure The Snow Queen is as cool as can be. As usual, Drama and Theatre Club children were a joy to take to the theatre. Two audience members spoke to Malvern staff at the end of the show to say how impressed they were with our children – their dancing and singing – their reactions – their willingness to get involved – and their excellent behaviour. One lady said that she got as much enjoyment from watching the children’s faces and reactions and participation as she got from watching the panto itself ! Drama and Theatre Club children at The Liverpool Everyman Theatre before seeing ‘The Snow Queen’. 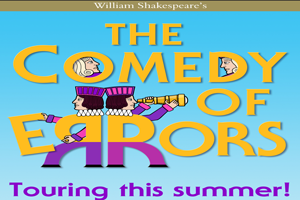 On Thursday 21st June (2018), members of Drama and Theatre Club went to the historic Speke Hall to see The Lord Chamberlain’s Men perform an out- door production of William Shakespeare’s ‘The Tempest’. The children took deck chairs and blankets so as to enjoy a picnic while watching the play. The children were excellent ambassadors for our school. Members of the audience commented on their excellent behaviour and manners. At the end of the play, children posed for photographs with the cast – and Prospero surrendered his magical staff into their care ! Drama and Theatre Club children with the cast of ‘The Tempest’ and in front of Speke Hall. 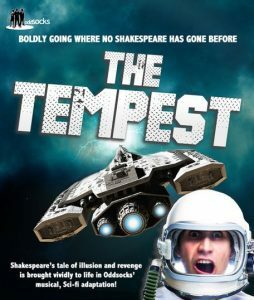 The Oddsocks Theatre Company performed an amazing musical science-fiction version of ‘The Tempest’ on Wednesday 4th July (2018). Members of Drama and Theatre Club watched the performance in Liverpool’s bombed-out church on Leece Street. As with the trip to Speke Hall, children enjoyed a picnic during the performance. The children really enjoyed the performance and at one point they ‘flossed’ along with the cast ! Children had the opportunity to meet the cast and get their autographs. At the end of the performance, a member of the audience said that our Drama and Theatre Club were a credit to our school. Members of Drama and Theatre Club at Liverpool’s ‘bombed-out’ church and with the cast of ‘The Tempest’. On Thursday 18th January (2018), members of Drama and Theatre Club went to the Liverpool Everyman Theatre to see their annual rock ‘n’ roll pantomime. The production was ‘shrimply the best’ because it was ‘The Little Mermaid’. Children had a fantastic time and all agreed that the pantomime was brilliant. And…we were given a ‘shout out’ at the end of the performance. As always, our Drama and Theatre Club children were excellent ambassadors for school – with members of the audience commenting on the children’s exemplary behaviour. Drama and Theatre Club children at the end of the performance. On Thursday 8th February (2018), members of Drama and Theatre Club went to the Liverpool Royal Court Theatre to see ‘Her Benny’. 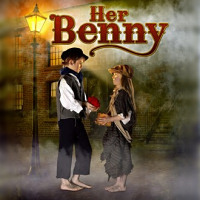 ABD Productions’ award winning ‘Her Benny’ is the heart-warming musical version of the classic tale of Victorian street urchins. Silas Hocking’s rags to riches story, in which love and courage are the only two things that keep Benny and Nell going, has become one of Liverpool’s best loved musicals. Drama and Theatre Club children at The Royal Court Theatre at the end of ‘Her Benny’. 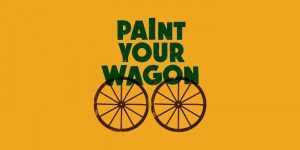 On Thursday 15th March (2018), our Drama and Theatre Club children went to the Liverpool Everyman Theatre to see Lerner and Loewe’s ‘Paint Your Wagon’. The Everyman Company worked its magic on this Broadway musical comedy. The children had a wonderful time and thoroughly enjoyed the play. As usual, behaviour at the theatre was excellent. Members of Drama and Theatre Club at the Liverpool Everyman Theatre. 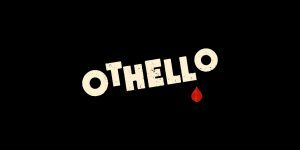 Drama and Theatre Club children returned to the Liverpool Everyman Theatre on Thursday 17th May (2018) to see a modern version of William Shakespeare’s classic tragedy ‘Othello’. The play was performed by the Everyman Company and was very powerful and moving. 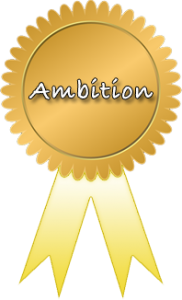 Several members of the audience commented on the children’s excellent behaviour and engagement. One lady said that watching the children’s faces and reactions was every bit as interesting as watching the play. Members of Malvern staff also received very positive comments from the theatre’s front of house staff. After children had been collected by parents, Malvern staff had the chance to talk to two members of the cast – Cerith Flinn (Cassio) and Emily Hughes (Desdemona) – they told us how impressed they were with the Drama and Theatre Club children. Cerith and Emily were also very positive about primary children being given the opportunity to go to the theatre and see Shakespeare plays. Members of Drama and Theatre Club – before and after ‘Othello’. On Wednesday 26th April (2017), members of Drama and Theatre Club went to the Liverpool Everyman Theatre to see a stage adaptation of Brian Patten’s ‘The Story Giant’. The children had a fantastic time and really enjoyed the play. The staff at the theatre were very impressed with the excellent behaviour and manners of all Malvern children. 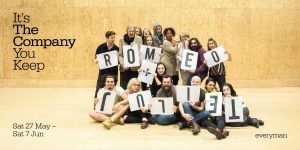 On Thursday 1st June (2017), members of Drama and Theatre Club went to the Liverpool Everyman Theatre to see a production of William Shakespeare’s ‘Romeo and Juliet’. The play was performed ‘in the round’ and children had seats very close to the stage. The production was stunning – both visually and aurally. The cast featured members of the Everyman Company, the Young Everyman Playhouse and the Young Everyman Playhouse Women’s Chorus. 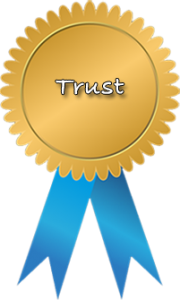 At the end of the play, a member of staff at the theatre approached the teachers to say that several members of the audience had commented on the children’s excellent behaviour. The children had a fab time – and enjoyed a picnic while watching the play. At the end of the performance, children took to the stage to pose for a photograph with the cast. 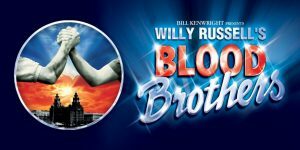 On 29th September (2016), Drama and Theatre Club children visited the Liverpool Empire to see a performance of Willy Russell’s amazing ‘Blood Brothers’. It wasn’t until the children arrived at the theatre that they found out that they’d be in the presence of royalty ! Prince Edward, Earl of Wessex was attending the gala performance to mark the 150th anniversary of there being a theatre on Lime Street. The production was excellent and all of the children thoroughly enjoyed it. 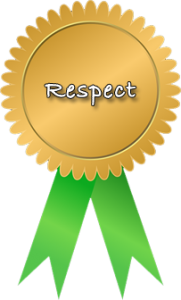 As usual, the behaviour of Drama and Theatre Club children was exemplary – with members of the audience commenting on the children’s good manners and conduct. After the cast had responded to several curtain calls, the Earl of Wessex appeared on the stage and was introduced to the actors. He posed for photographs with them and waved to the audience. 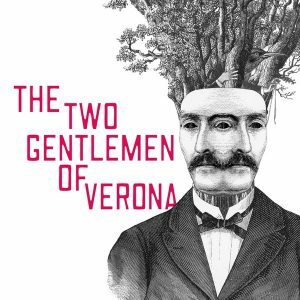 The Drama and Theatre Club children went to the Liverpool Everyman Theatre on 18th October (2016) to see a production of William Shakespeare’s ‘The Two Gentlemen of Verona’. Presented in conjunction with Shakespeare’s Globe Theatre, Nick Bagnall’s riotous new production was led by a joyful ensemble of players who delighted the audience with songs, romance and chaos – and brought the Bard’s anarchic comedy into the 21st century. Members of the public and theatre staff were very impressed with the exemplary behaviour of our Drama and Theatre Club children. 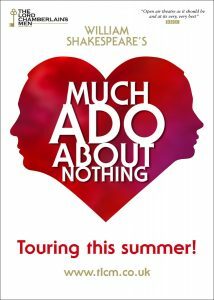 During the summer of 2016, The Lord Chamberlain’s Men toured a production of Shakespeare’s comedy ‘Much Ado About Nothing’. 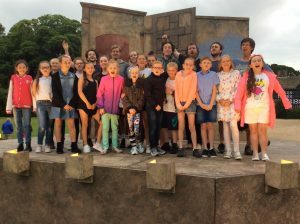 On June 22nd, Drama and Theatre Club children attended an outdoor performance at Speke Hall. Children and staff (including Dr.Bernie Hughes from Liverpool Hope University) took rugs, blankets and garden chairs so as to enjoy a picnic during the play. The Lord Chamberlain’s Men staged a fantastic production – with the historic Speke Hall as a backdrop. During the interval and at the end of the play, members of the public approached members of staff to comment on the excellent behaviour of Malvern children.